Companies based in Greater Oak Brook have a competitive labor advantage over companies in other communities. The area’s exceptionally large labor pool includes a wide range of qualified workers from experienced service personnel to knowledgeable technical and professional employees. 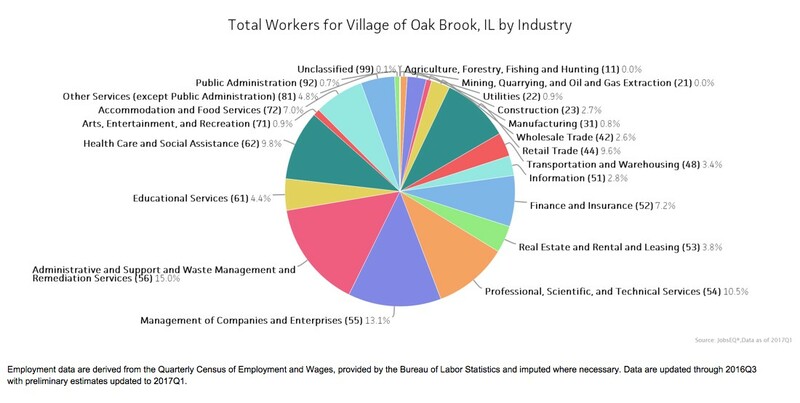 As a result, Greater Oak Brook employers enjoy wage savings, lower operational costs and better access to skilled workers than their counterparts in Chicago and throughout the region. Employers also benefit economically from the large numbers of shoppers, visitors and overnight guests that populate Greater Oak Brook each day. For example. of individual residents of Oak Brook between the ages of 25 to 64, over 68% hold a bachelor’s degree or higher compared to 35% in Illinois. A diverse variety of occupations are represented within the local workforce of over 50,000 with the highest concentration in administrative, management and professional, scientific and technical services roles (see pie chart). 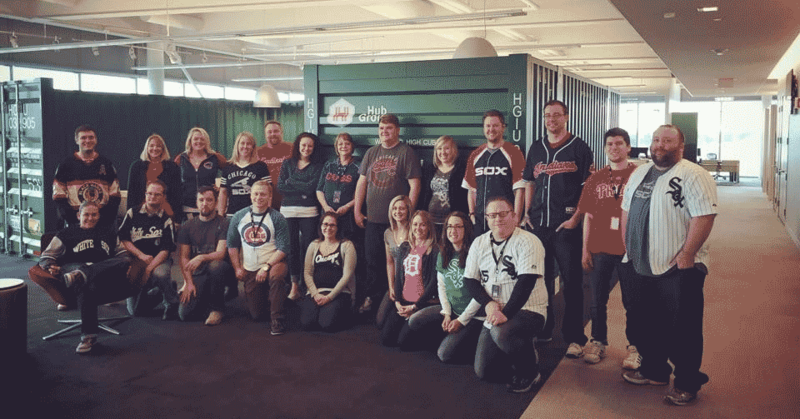 This talented workforce is naturally attracted to work and live in the Greater Oak Brook community, given the excellent schools, housing supply, and opportunity to experience its top rated entertainment options. Over 60,000 people come to the Greater Oak Brook area every day to work, shop and dine. There is no more desired asset for companies looking to locate within a community than the world class talent pool currently drawn to the Greater Oak Brook area. In addition, local employers have access to the highly educated workforce of DuPage County. 92% of the county’s workforce has high school or higher degrees and 47.2% has Bachelor’s of higher degree.